On the occasion of the International Day of Older Persons, the European Seniors’ Union (ESU) stresses that an age-friendly society means more than the planning and creation of some services and structures related to the specific needs of older people. The ESU calls for an inclusive age friendly society. One that is based on a positive attitude towards ageing. The ESU strongly condemns ageism and discrimination, and calls for more respect and dignity towards the older generations. Only in equitable cooperation between young and old, the future of Europe can be shaped. Since 1990, the United Nations (UN) designate 1 October as the ‘International Day of Older Persons’. Worldwide, the rights of older persons, the increased life expectancy and the challenges of ageing societies are given special attention to. How to add life to years? How to live life at the fullest? How to stand against ageism and discrimination? The general trend already became clear in the last decades of the 20th century: ageing and living in an ageing society, where life expectancy is rising and birth rates are falling, would become one of the central challenges of our time. The international community started to highlight the situation of older persons in the Vienna International Plan of Action on Ageing, adopted at the World Assembly on Ageing in 1982. The United Nations Principles for Older Persons, adopted in 1991 and organized around (1) independence, (2) participation, (3) self-fulfilment, (4) dignity and (5) care, reflect the need for striking a balance between integrating older people into society while acknowledging their special needs. Since the adoption, at the Second World Assembly on Ageing in 2002, of the Political Declaration and the Madrid International Plan of Action on Ageing, the latter offered guidance in drafting policies and programmes at the national level, inspired the development of national and regional plans and provided an international framework for dialogue. At the European level, the binding and basic attitude of the European Union concerning the rights of older persons is expressed in Article 25 of the Charter of fundamental rights of the European Union (2000): “The Union recognizes and respects the rights of the elderly to lead a life of dignity and independence and to participate in social and cultural life”. Older persons enjoy the same rights and freedoms as every human being. Every person, regardless of age, gender or dependency is entitled to enjoy the fundamental rights and freedoms anchored and implemented in numerous national and international legal texts, action plans and measures. Nevertheless, explicit references to age in international human rights treaties are scarce. While universal human rights instruments have been dedicated to several categories of persons, for example to women or to people with disabilities, there is no such instrument for older persons. In 2010, a UN open-ended working group was created for the purpose of strengthening the protection of the human rights of older persons by considering the existing international framework of these rights and identifying possible gaps and how to address them, including considering the feasibility of further instruments and measures. In the meantime, speakers have mentioned several times in European and international meetings: “we do not need new principles or standards. We need implementations, measures and new attitudes to cover the gap between standards and daily practices”. In 2014, the Committee of Ministers of the Council of Europe adopted a recommendation on the rights of older persons (CM Recommendation 2014, 2). It reaffirms the rights of older people and recommends a range of measures to be taken by Member States in order to combat discrimination based on old age. Responding to these challenges of ageing societies, drawing attention to the human rights’ situation of older people is not only the responsibility of governments, but also of citizens and must take place on local, regional and international levels. It is essential that older persons themselves have a central role. Therefore, we feel committed to the issue. This year, the International Day of Older Persons calls to take a stand against ageism by drawing attention to and challenging negative stereotypes and misconceptions about older persons and ageing. Ageism is a widely prevalent and prejudicial attitude that stems from the assumption that age discrimination, and sometimes the neglect and abuse of older persons, is a social norm and therefore acceptable. It can be a reality in all societies, and finds expression in individuals’ attitudes, institutional and policy practices, as well as in media representations that devalue and exclude older persons. The failure to tackle ageism undermines older persons’ rights and hinders their contributions to social, economic, cultural and political life. 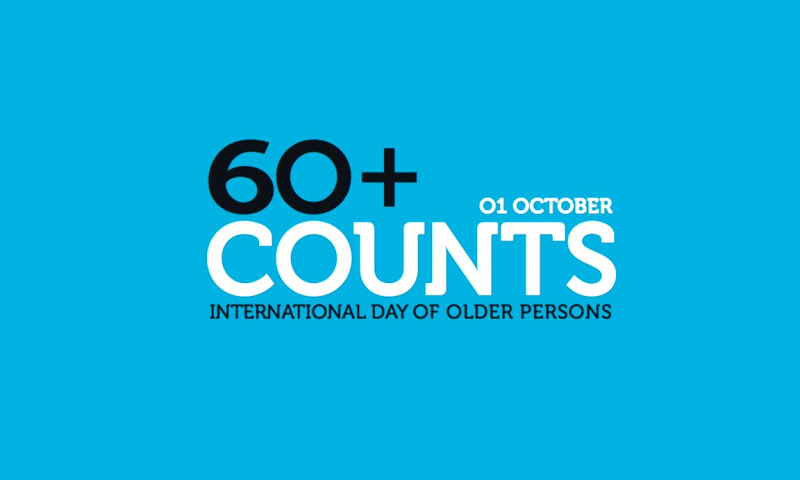 Every year on 1 October, we globally pay attention to older persons in society. Ageing in dignity and without discrimination are central here. As European Seniors’ Union, we invite everyone to CELEBRATE the International Day of Older Persons. Because sharing experiences, taking new challenges and participating in living together give strength and joy. The mission of the ESU is the promotion of the role of older persons in European societies, the fight against discrimination and abuse, the development of intergenerational solidarity and the creation of inclusive, age-friendly policies at all government levels. With this mission, we are in the heart of all future politics. All over Europe, all over the world, we have to cope with what we call ‘demographic changes’. Too often and too much older people are seen as a burden in employment, pensions, health care,… So badly that people feel guilty for being old or growing older. to eliminate abuse and neglect, in various forms such as physical, psychological, emotional, sexual and financial abuse. Criminal offenses should be recognised and punished. Prevention remains most important. to insist on the permanent implementation of a human rights approach as the underlying framework for the development of age-friendly policies and active ageing initiatives. The perspective of people living longer must be integrated in the conception of the individual life course, in all areas of life and all fields of policies. The older generations are not a burden, but an asset for society, which needs the life wisdom and experience of older persons. Because the future needs experience. That is why the ESU calls for an inclusive age-friendly society. One that is based on a positive attitude towards ageing and recognizes the value of all age groups. It emphasizes that parity of esteem with other citizens should be accorded to older persons. In this respect, we welcome actions and strategies that make the European Union more age-friendly and reinforce social inclusion. We welcome the fact that these so-called elderly policies are moving to the mainstream of all policy areas, at all government levels. And we are glad that the important role of civil society is increasingly recognized and supported.